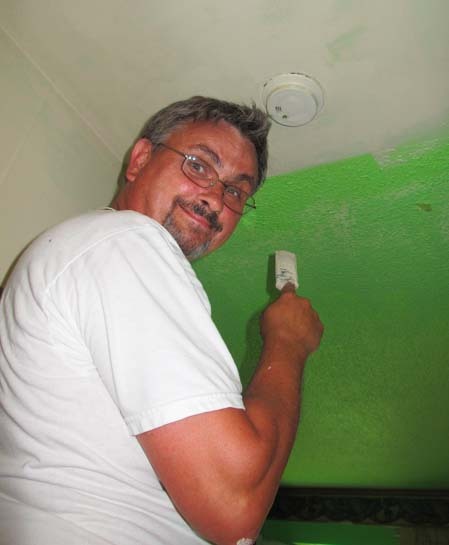 From July 10 to 18, nearly 200 volunteers from Canada and the U.S. spent their time painting houses and getting to know those who live in the Shoreham Court community. It was all part of a project called Refresh, which was organized by the Ephraim’s Place Community Centre in partnership with the Jane-Finch Church Coalition. The program is designed to create a strong sense of community, restore local pride and improve the living conditions of those living in homes provided by Toronto Community Housing. Diana Am. and Gladis An. 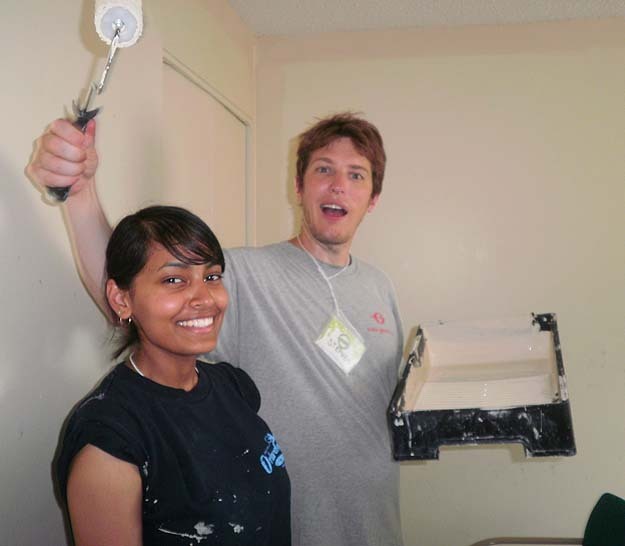 both had a number of rooms in their Shoreham homes painted by volunteers from local Jane-Finch Church Coalition churches and from the U.S. “I am really happy to have some volunteer assistance in getting my home painted,” said Gladis, who moved her furniture back from the walls and provided lunch for the volunteer painters. 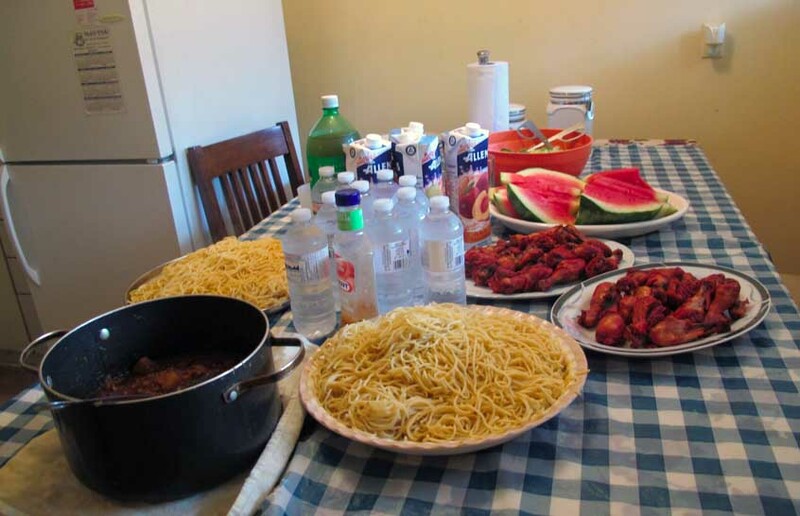 Chicken, noodles and watermelon were prepared by one family for hungry painters. 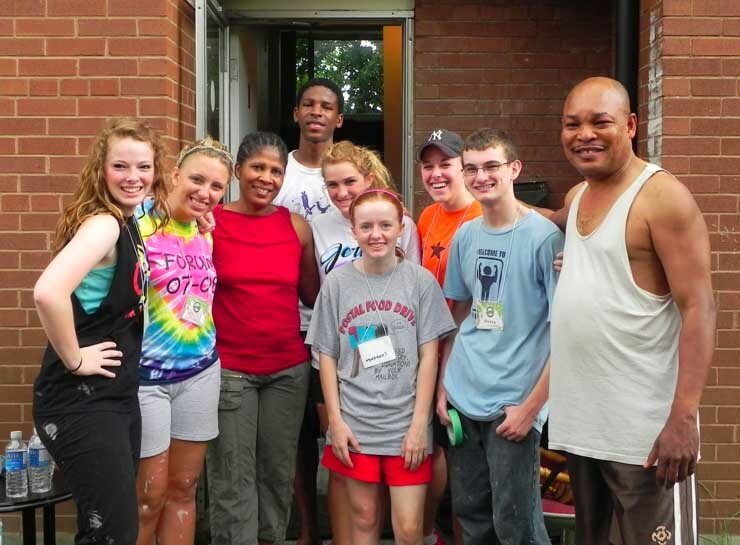 Over nine days, approximately 55 families had painting done in their homes by 199 volunteers. Ephraim’s Place and the Jane-Finch Church Coalition would like to thank Gillian Dennis and the Toronto Community Housing staff along with Jamac Nur and other leaders in the Shoreham community for working so cooperatively with the volunteers. ... along with Dan Hoddinott, who takes care of the difficult, higher-up painting. Pastor Bill Sunberg and Kevin Motiram discuss plans for a week of painting. Cynthia and Stephen Atkinson, who also take part in the program. 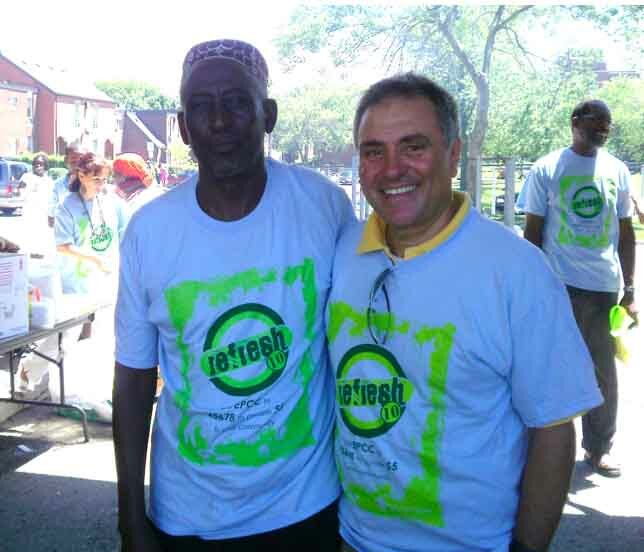 Community and city leaders attend the Jane-Finch Church Coalition barbecue: Shoreham tenant representative Jamac Nur and Councillor Anthony Perruzza. 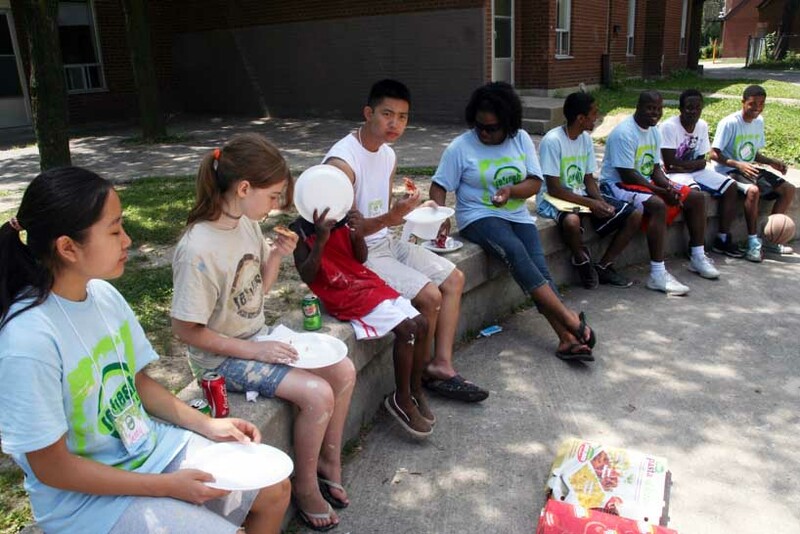 During the Refresh program, volunteers sit outside to enjoy lunch in the summer heat. This entry was posted in community initiatives and tagged Ephraim's Place, Jane-Finch Church Coalition, painting, Refresh, volunteers. Bookmark the permalink.